For this final exhibition of 2012, Maxwell Colette Gallery has paired two artists whose work explores the use of collage as a catalyst for the revitalization of discarded visuals and the repurposing of previously disseminated information. Sometimes surprising, funny or provocative, the calculated incongruities exhibited in these works forge a new relationship with the ordinary as fragmented forms collide into fresh points of view. The Neapolitan Flavio Falena is best known for his exquisite hand-finished prints in the studio and his paste-up work in the streets. 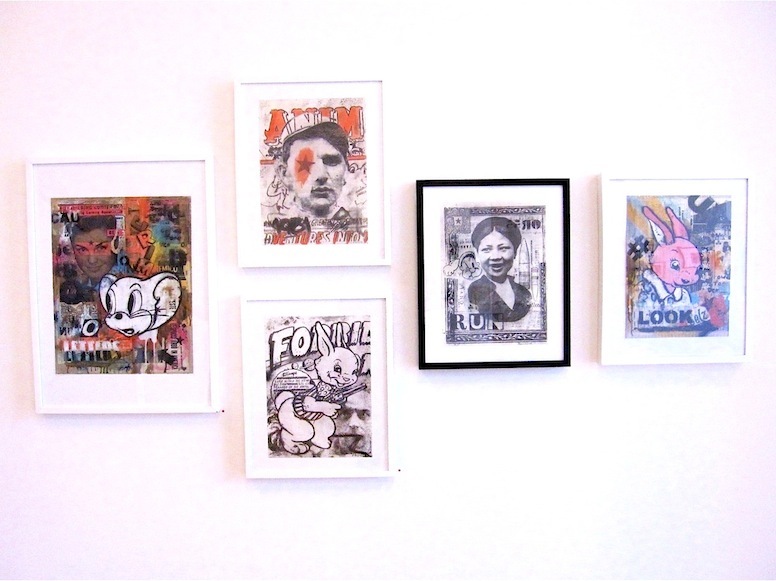 Falena refers to himself as a “Grunge artist”, and says that he “reworks forgotten images to create timeless capsules accompanied by clear or hidden messages.” Sweet Propaganda features a selection of his recent print work and paintings on paper. 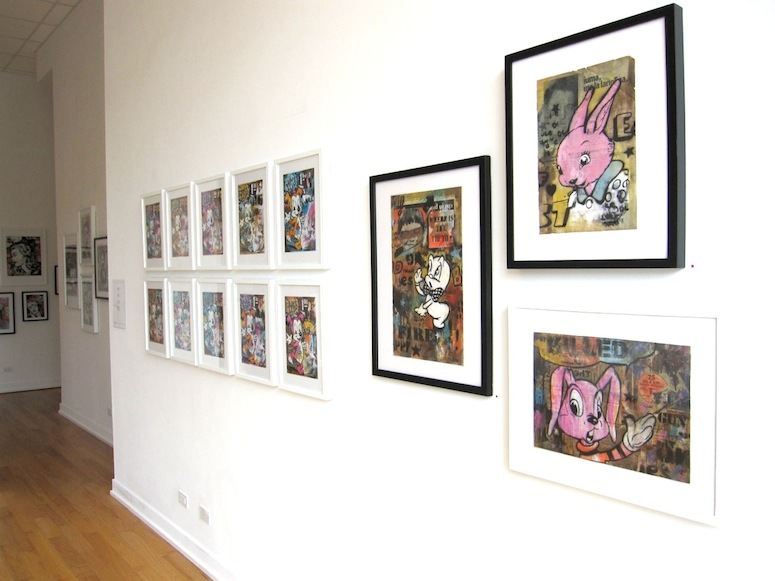 Both the prints and the paintings feature bold, colorful cartoon imagery over densely layered backgrounds. 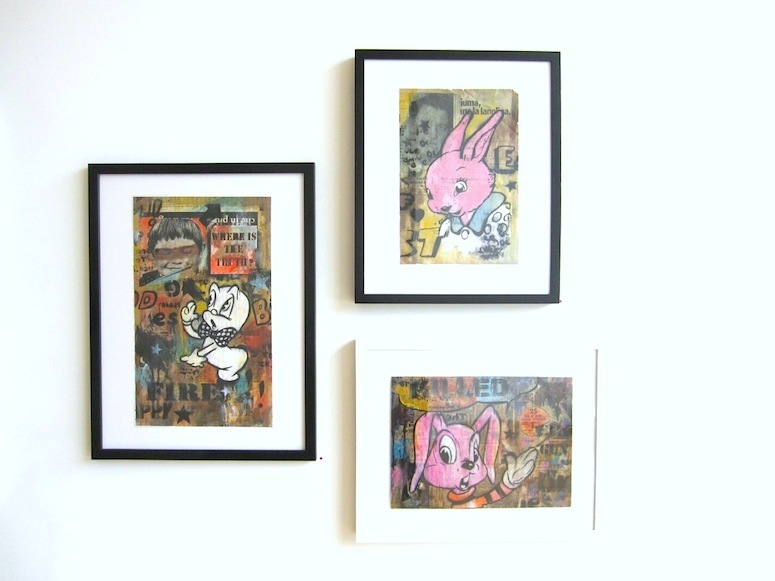 Reminiscent of early Faile, Falena’s prints are colored and embellished by hand, so even the editions are made up of unique variants. 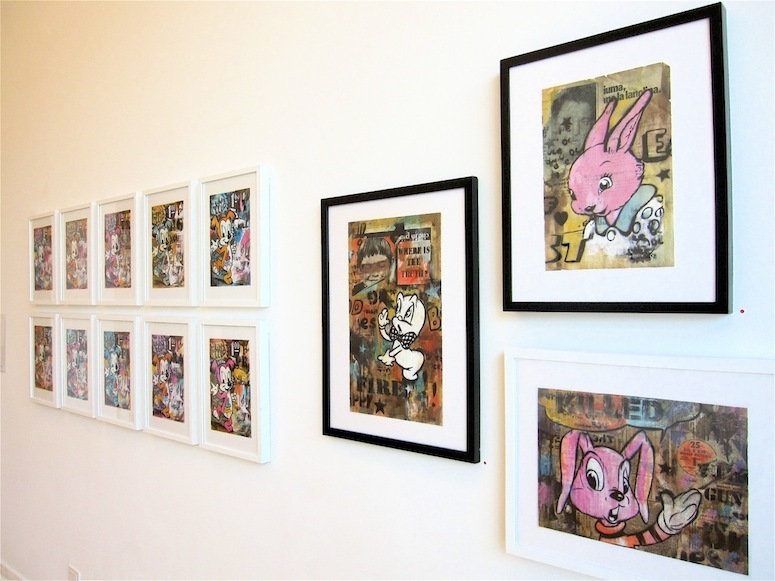 Through his art he explores experimental printing techniques and reflects on themes of messaging, consumption, decadence, childhood, and the deeper soul of the contemporary age. He currently lives and works in Naples with his rabbits.